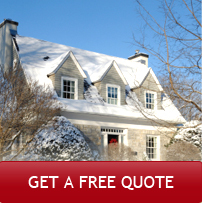 Call (612) 825-6867 to schedule a full furnace installation service. Four generations in the business – we were born to do this! For over a century, family-owned, Minneapolis-based Ray N. Welter Heating Company has serviced and installed furnaces that keep families warm throughout a cold, Midwestern winter. Once you’ve made the decision to buy a gas furnace, it’s helpful to know what to expect with a furnace installation. Below, we run down a “to-do” list for the technician, so you know what to expect throughout the installation experience. The key to any mechanical installation is sizing up the job correctly. A licensed HVAC service technician will have visited your home to evaluate equipment size and ease of installation. Not all homes are alike, and many require additional time for tricky workarounds. Your contractor will take measurements of your home then perform calculations to verify the right size for your air conditioner, furnace or heat pump. Bigger isn’t always better when it comes to performance and comfort. You can buy the best gas furnace available, but if your ducts are damaged or not sealed properly, you’ll be heating the outdoors and wondering why your high-efficiency gas furnace costs more than its replacement. A qualified technician will measure for duct leakage and make the necessary repairs to minimize energy waste. In order to operate at peak efficiency, a heating or cooling system needs to have the proper volume of air flow. Your contractor should also measure air flow and make the necessary adjustments. Most people want to know if they have to hang around all day or if they’ll be without heat. Well, there’s good news and bad news. Most installations can be performed in one day. It’s also not necessary to remain at home all day. If your technician is bonded—which they should be—they’ve been vetted, so their reputation is solid. If you’ve done your due diligence and checked their references, it’s generally okay to run a few errands while your new furnace is being installed. The not so good news is that, since the old system will be disconnected, you won’t be able to run your heat (which makes leaving the house sound like a good idea). And, depending on the complexity and type of the installation, expect to be without heat for a few to several hours. Give us a call today at 612-825-6687 or send us a quick message to schedule your new furnace installation. While you’re on the phone with us, you’ll talk to a fully trained and certified heating professional to help answer any of your questions. Plus, during Minnesota’s coldest months, our phone lines are open 24/7 to ensure your home never has a chill all winter long. Like our service? We’d love it if you wrote us a review!